Use this handy digital brochure while you’re exploring Downtown Hartsville to find the coolest things to do! Click the Shop, Eat, Play, and Stay tabs to see it all. There’s a handy map of Downtown below. Also available as a printable PDF. 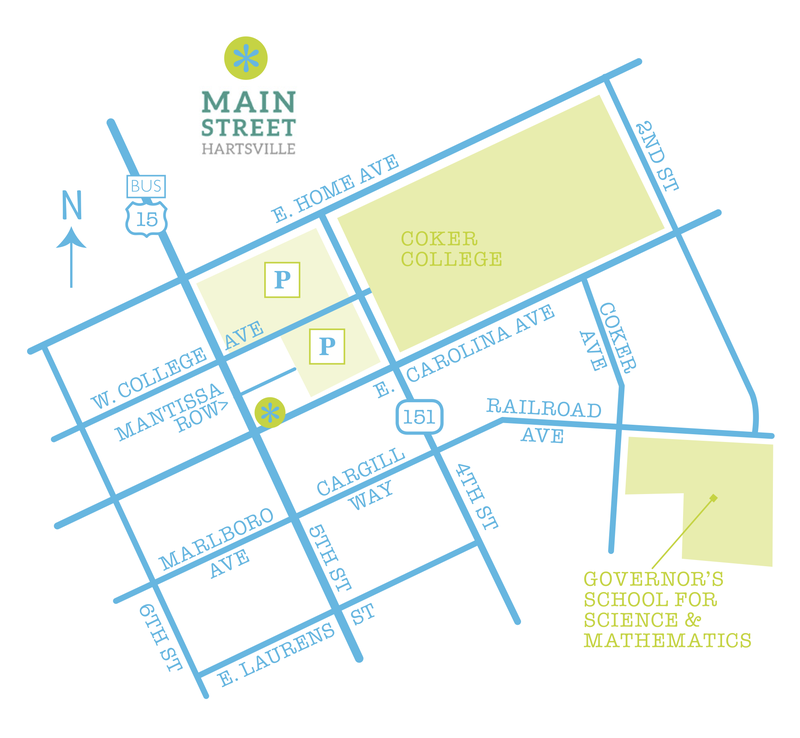 Also check out our more extensive guide, Things To Do Downtown and Beyond, to see what else Hartsville offers visitors. Sam Kendall’s: Serious food. Cool bar.